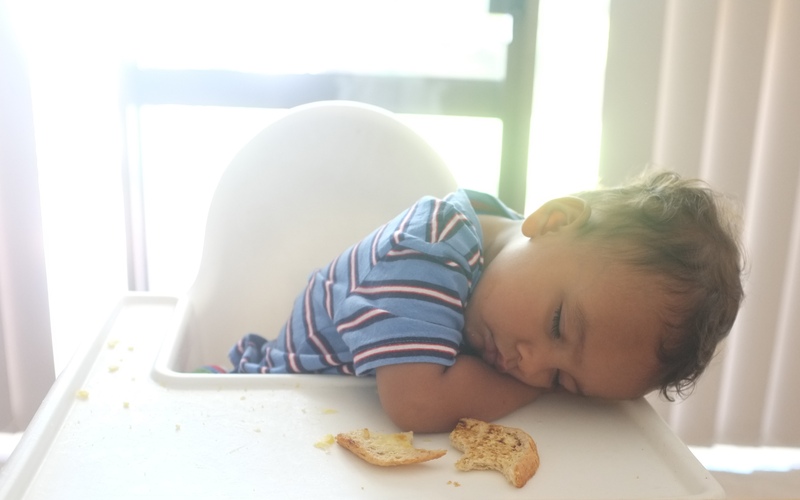 I reckon just looking at this photo of my son napping in his high chair lowers my blood pressure! Christians would recognise this quote from Jesus, speaking to his closest friends shortly after his resurrection. He was speaking for our benefit as well, where we stand 2000 years later, and we know that the world can’t give us peace but we keep trying to find peace in worldly things don’t we? I know I often fall in the trap of thinking that my life would be so much more serene if the kids were a little bit older, or if we had more money, or if a drive-through bread, milk, and chocolate shop were to pop up near our house. But I know that if these three things magically happened tomorrow, yes, I might have a more peaceful couple of days, but bam, something else would soon come up to disturb me. Anything we can imagine will give us more peace which is an outside circumstance can be taken away, or can even turn out to be a source of more distress. The only peace worth having, because it is true peace, is the peace that God gives. It is a peace which is ours at any moment, which is ours in whatever is happening, in the daily, mundane, mind-numbing tasks of each day, in the little annoyances and larger, very real daily burdens, and in the times of crises that can hit our families out of the blue and knock the wind out of us. Reading just a little of the Bible, particularly the New Testament, every day, is great anecdote for a restless heart, a way to hold onto Christ’s peace in the push and pull of all that is going on around us. Try using a real Bible rather than an app on your smart phone so that your children will see you dipping into it, and let them benefit from your gift of peace. What about you? How do you try to rest into a peaceful moment through the day? Let me know in the comments below. Marilyn, it is so true what Saint Augustine says and I always cling to those words. Bless you all……Pat C.
marilynrodrigues posted: "Soon I hope to post some short podcasts here, which I made for The Journey radio program, but in the meantime here's a transcript of episode six. It's about tapping into the peace that only Christ gives: “Peace I leave with you, my peace I give to you. It"
Thank you Sinead, and I hope you get lots more opportunities sprinkled through the rest of the week! Thanks for this post. It is so true that whenever we find peace in worldly things, it is for but a moment, as something else will lead us to that ‘restlessness’. And I love how, as you say, no matter what our circumstances, we can find peace through Christ. I find that when I feel that peace, I can see my children better as who they are – wonderful, glorious children of God – rather than worrying about their weaknesses or their bad behavior. Thanks Intrepid, I also need to remember to apply it myself some days! Sage words! Mine are often noticing ” you’re always on your phone mum” regardless of what I’m reading there..
Marilyn that is my all time favourite quote! We were lucky to be in a parish of Augustinians for a few years and that is where I fell in love with it and it just stuck in my head. My girls used to do that Corrie and it was very cute but they don’t really do it anymore. But then they tell me they say the rosary in their beds when they can’t sleep so gosh I can’t complain!! I wonder if you’re reading Jesus of Nazareth by the Pope Emeritus? Someone lent it to me yesterday and I can’t wait to finally get to reading it. Its so true resting in God gives us peace and joy!God gave us the wonderful gift of the Holy Spirit who fills our hearts and minds with the bounteous gifts of love;joy;peace;patience; kindness; goodness;gentleness ; humility and self control. Thank God when we need that peace that surpasses understanding we don’t need to look very far it is ever ready and poured out on us richly. I had a miscarriage on boxing day last year and I can honestly say that within a day my sorrow turned to peace as I faced this huge loss and uncertainty. I feel this way because in all things i make it a habit to thank God especially whem im hurting and overwhelmed!!! Sacred scripture reminds us to give thanks always- Psalm136 2-4; 1thessalonians 5 :8.Praise be to God I have two beautiful young boys who with my hubby and extended family n friends I feel immensely privileged to nurture and raise up for God. I always tell my kids one thing that I’m thankful for that they did that day to make the day special even when I’ve been misbehaving or they have. We all have our faults!!! Love the photo of your gorgeous family. I’m trying to make bible reading and prayer more of a priority in my day instead of just fitting it in when I “have time.” There is really no excuse now that I’ve retired. My prayer time seems to be much more meaningful when I combine it with my daily neighbourhood walk. Must be because I can see all of God’s glory as I go. Haha, I am looking forward to my (eventual) retirement for that reason Annie! I’m already a fan of the neighbourhood walk too, though I can’t get out every single day. And I try to fit in at least one part of the Divine Office of the Church each day, which offers a nice dose of scripture among many other benefits. Thank you for your comment and Happy New Year to you as well! Thanks Marilyn. I have just ordered the book you recommended “Night’s Bright Darkness”. Looking forward to reading it as I am also a convert to Catholicism. Nine years now and I can’t imagine my life without it. Have also been a Catechist for the past two years-teaching some adorable six year olds. I can honestly say I get much more out of it than they do. Always enjoy your posts Marilyn. I have just ordered the book you recommended “Night’s Bright Darkness” Looking forward to reading it very much as I’m also a convert to Catholicism-nine years now. Have also been a Catechist for the past two years and really enjoying teaching my delightful six year olds about God’s love for them. I get much more out of it than they do. Oops sorry I think I might have posted this twice. I’d love to know what you think of the book when you’ve finished reading it! Will certainly let you know Marilyn.